Researchers at the University of Costa Rica’s School of Agronomic Engineering have found a natural method to improve the intake of selenium, a mineral that is important for health but scarce in the Costa Rican diet, by enhancing the amount of that nutrient inside enriched eggs. The project aims to comply with Health Ministry recommendations to promote the production and consumption of selenium-enriched food, a step suggested by the Costa Rican National Health Survey since 2009. Selenium is a trace mineral that helps strengthen the immune system. Among other benefits, the micronutrient contributes to the prevention of various types of cancer, including gastric, lung and prostate cancer. It is an antioxidant that helps prevent cardiovascular disease and also protects against free radicals, meaning it retards aging and prevents degenerative disease. Ordinary diets in most countries satisfy selenium requirements, mostly from vegetables. However, Costa Rica’s fresh produce contains reduced contents of the mineral. What’s to blame? Volcanic soils with high sulfur content obstruct the transfer of selenium to crops, according to the UCR study. UCR student Marisol Rodríguez Alfaro dedicated her thesis to finding a way to enhance a food product with selenium. She selected eggs because they are among the most common foods in Ticos’ daily diet. Her research found that it might be possible to the increase selenium content of eggs by adding a specific type of yeast to chicken food. The goal was to demonstrate that chickens could absorve the nutrient in their metabolism and then transfer it to the eggs in a completely natural way. Professor Catalina Salas Durán, an aviculture specialist, assisted Rodríguez as a thesis supervisor. In the enriched-food group, eggs went from 0.105 parts per million (ppm) of selenium to 0.275 ppm. Health Ministry regulations requires a food component to show an increase of at least 10 percent from regular values in order to promote that product as “enriched.” Eggs collected during the project showed increases up to 50 percent, but researchers in the final report cited the lowest values they found. “We reported enrichment levels above 10 percent,” Salas said. Those results also mean that one enriched egg provides up to 30 percent of the required daily intake of selenium, she added. Results also showed that selenium transfers to eggs unevenly: 40 percent is found in the egg whites and 60 percent in the egg yolks. For that reason, researchers recommend that people eat a whole “super egg” in order to get that 30 percent of selenium intake. 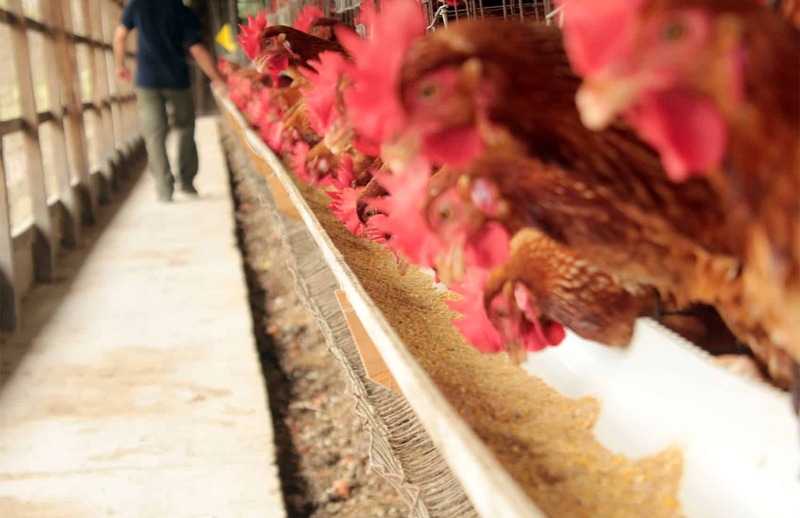 In the next stage of the project, researchers began reporting their findings to various egg farmers and provided detailed information on feeding procedures. They also provided training in marketing concepts and instructed farmers about branding regulations for micronutrient-enriched foods. As a result of these marketing efforts, one of the egg farms recently started feeding their chickens with a selenium-enriched diet. That farm supplies all their eggs exclusively to AutoMercado supermarket chain, which is selling them at all their retail locations. Researchers from the Health Ministry, the Health Research Institute, the Social Security System and the National Institute of Statistics and Census conduct the National Health Survey periodically. Results from the 2009 survey found insufficient selenium intake in most of the country, showing a decrease from the levels found in the previous survey. The study found selenium deficiency in 35 percent of adults, mostly among women. The figure was particularly high among women of childbearing age, as the survey found selenium deficiencies in 42 percent of women in this age group.